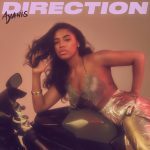 Cool Cover: Ayanis‘ Direction Details: This one looks like it could wonderfully be straight out of the ’70s (except for the bike, possibly. I have no idea what kind of motorcycle that is). I love that outfit, and the lighting is so smooth for this photo. 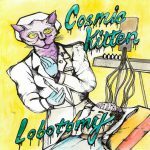 Cool Cover: Cosmic Kitten‘s Lobotomy Details: Downey, California’s Cosmic Kitten keeps the cat theme going on their third album cover, featuring a purple cat performing a lobotomy on a person. Scary. Look at all those tubes. 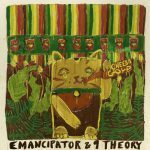 Could be fodder for nightmares, but cute cat.